This Saturday, 22 February 2014, at Pansodan Scene. Including Malte Jehmlich’s cartooning machine. The role of public memory in the transition from a closed, autocratic society to one increasingly linked to global flows of capital and information is just beginning to be explored by Burma scholars, specialists, and indeed the public. These discussions have the potential to animate and clarify the question of how publicly shared memories of the past are implicated in collective and individual acts of commemoration, resistance, and capitulation. Professor James C. Scott of Yale University and author of influential texts on politics and anthropology in Southeast Asia, including The Art of Not Being Governed: An Anarchist History of Upland Southeast Asia, will give a lecture on the topic of public memory this week at Pansodan Scene. We cordially invite you to join Professor Scott’s lecture and participate in the discussion by sharing your questions, views, experiences. 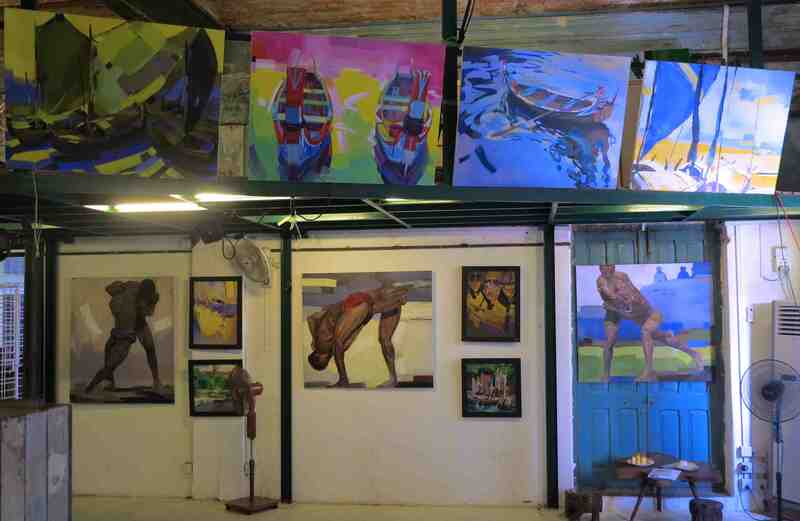 Shwe Thein’s solo show at Pansodan Scene is particularly accomplished. He has never forgotten his Rakhine boats, and other scenes of his home. 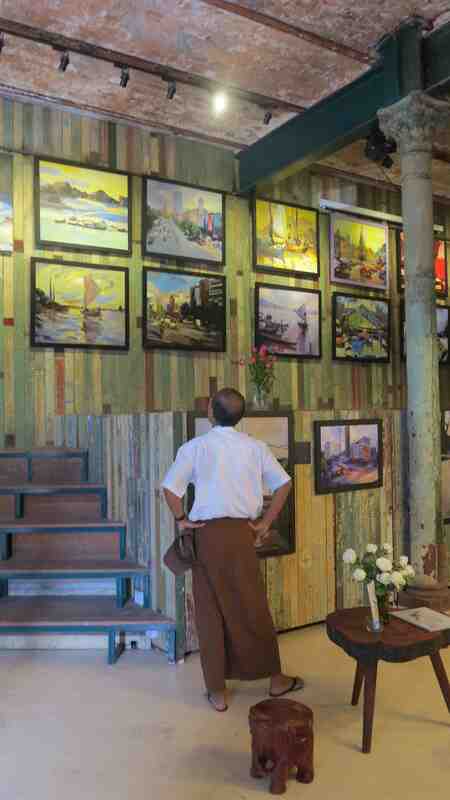 The Yangon paintings have a creamy touch and careful colours. 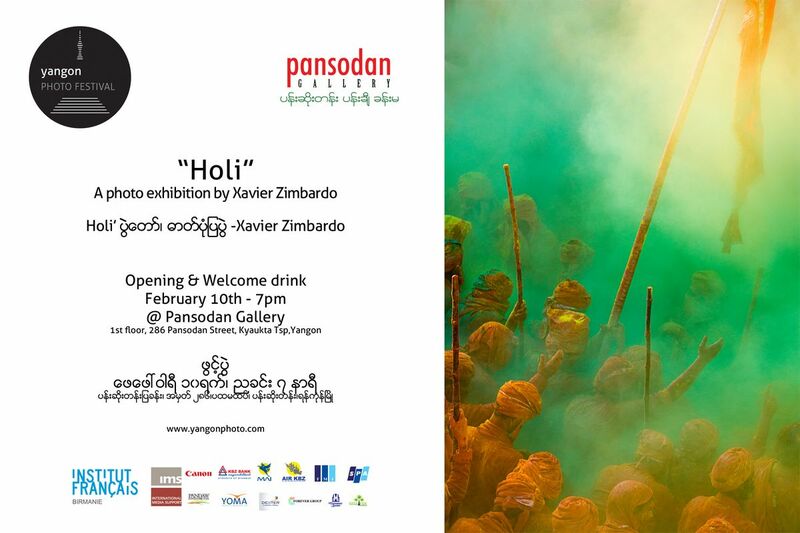 In this exhibition he has introduced a new series, of Rakhine wrestling, as well. Open 10–6 every day until 21 February 2014. What happens when internationally known photographers spend a week with seven photographers from Bangladesh, ten from Norway, and six from Myanmar? Nobody knows yet, but you can find out on 12 February. Photojournalist Philip Blenkinsop with support from Gareth Bright, Munem Wasif, Per Anders Rosenkvist, Dr Kaung Htet and Minzeyar will work with these students to hone their reportage skills, and the pubic can see the results 7:00–9:00 pm, at Pansodan Scene. Find out more at Myanmar Deitta.